Evolution Gaming is a live casino specialist games developer. The company is well known for creating live dealer streams, used by a host of UK casino sites. As well as traditional takes on casino games, Evolution Gaming has begun to make its name by developing new versions with added features that offer enhanced prizes or a more fun playing experience. The firm bills itself as the “world leader in live dealer gaming”, which is a bold statement, considering it finds itself up against industry giants such as NetEnt and Playtech. However, Evolution has claimed a number of top iGaming awards, suggesting it has much to offer punters who love to recreate the thrill of the bricks and mortar casino in their own living room, kitchen or even bathroom! Evolution Gaming launched in Latvia in 2006, building state-of-the-art studios in the capital Riga. From there, it streamed live casino dealers to a host of European casino sites. Early clients included William Hill and 888, and the firm’s success meant it had to quadruple the size of its studios in 2009. Since then, it has spread its reach to the USA, where iGaming licences are scarce, and covers a great deal of the UK market. UK casino sites that carry Evolution Gaming titles include LeoVegas and Sloty. The company spent a good deal of time building up its offering to provide more variety than just roulette and blackjack. The firm also supplies live casinos with Caribbean Stud, baccarat and more. More recently, it introduced games such as Dream Catcher and Lightning Roulette to its armoury. Both of these games feel more like TV game shows than casino games and Evolution is rightly proud of the quality of its visuals, sounds and effects. You can play all sorts of traditional casino games at live casinos that use Evolution software. There are numerous versions of roulette and blackjack to suit every wish. However, where the company stands out is with its newer titles. Lightning Roulette is like normal European roulette, but with infinitely more glitz. Once the ball rolls around the wheel and the bets close, the action begins. A random number generator creates up to five Lucky Numbers, which all have multipliers worth up to a staggering 500x your stake. Simply lay a straight bet on a single number and, if it becomes a Lucky Number and the ball lands there, you’re in for an enhanced payday. The excitement of watching the ball spin, knowing you have bet on a Lucky Number is out of this world. 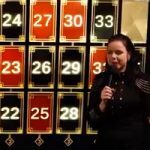 If you want to know more, take a look at SpinCazino’s Lightning Roulette new live casino game review. You can also find out more information on the rules and strategy of roulette at the How to Play Roulette page. Dream Catcher is Evolution Gaming’s spin on the money wheel. This is a staple of some of the more glitzy land based casinos and features a giant wheel suspended on a wall. 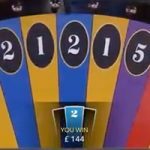 Players bet on the number (1, 2, 5, 10, 20 or 40) on which they think the wheel will land, earning an amount related to the number they chose if they are right. Correctly guessing 20 means you win 20 times your stake, 40 brings 40 times, and so on. Even better, there are two multiplier sections of the wheel. If it lands on silver, the next win is multiplied 2x, and gold means the next win is multiplied 7x. When it lands on a multiplier, bets freeze and the wheel spins again. If you win on the next spin, you get the normal prize plus the added multiplier. If the wheel lands on two or more multipliers in a row, they are all multiplied together until the next winner collects them all combined! Learn more about Dream Catcher in the SpinCazino review. The main noticeable feature of Evolution Gaming’s games is that they look fantastic. The company pays close attention to making its games as televisual as possible. There are multiple camera angles, sharp close ups and live dealers who are entertaining. The dealers know their stuff and interact with the audience in a relaxed manner. The sets look exquisite, with giant screens featuring slick graphics. They are dressed with eye-catching lights and have obviously had a great deal of money and care spent on them. Anyone familiar with the old school live casino games that looked like they were filmed on a webcam from someone’s basement will be greatly impressed with Evolution Gaming’s work. Learn more about playing live casino games at the dedicated page. Take a look at the games on offer yourself by visiting Mr Green Casino or Casumo today.